Take your feet on a cushioned and supportive ride mile after mile with the adidas Running Supernova Stability running shoe! Predecessor: Supernova. Support Type: Overpronation/Stability. Cushioning: Lightweight, flexible response. Surface: Road. Differential: 8 mm Engineered mesh upper is lightweight and offers a ~second skin~ wear for a supportive and comfortable fit. Seamless lightweight TPU quarter panels. Centralized lace-up closure for a secure and adjustable fit. Padded tongue and collar. Soft fabric lining. 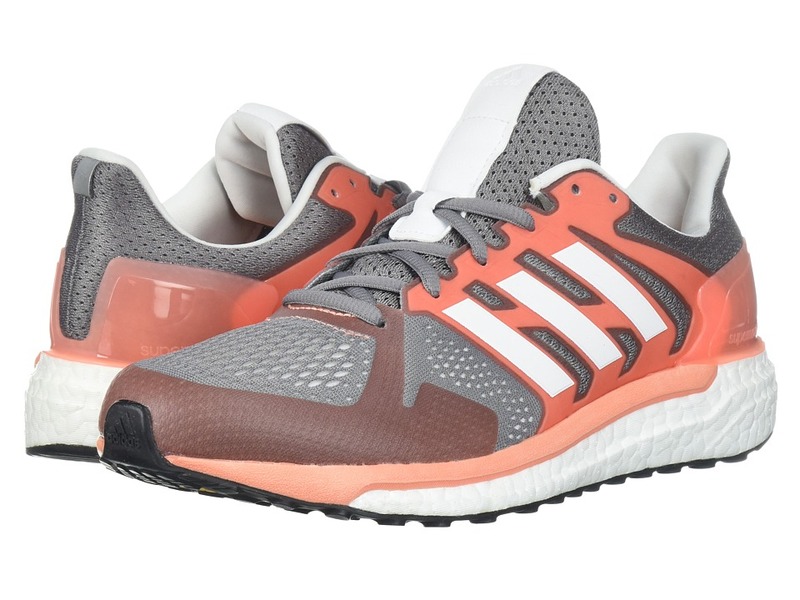 Dual-density boost cushioning stabilizes and offers a smooth, responsive ride STABLEFRAME midsole delivers dynamic support to offer a natural stride. TORSION SYSTEM between the heel and forefoot provides stability. FITCOUNTER molded heel counter allows movement of the Achilles. Continental Rubber outsole delivers exceptional grip in various weather conditions while STRETCHWEB technology flexes underfoot for an energized ride. Imported. Measurements: Weight: 11 oz Product measurements were taken using size 8.5, width B - Medium. Please note that measurements may vary by size. Weight of footwear is based on a single item, not a pair. Born from minimal running but built for the course, the Minimus Sport brings performance to the green. Breathable mesh upper with synthetic overlays. Low profile silhouette. A lightly padded tongue and collar for comfort and added support. Lace-up closure ensures a secure fit. Breathable textile lining. Ortholite insole for all-day comfort. Lightweight REVlite midsole with a 4mm drop. Dual density molded spikeless rubber outsole for superior traction. 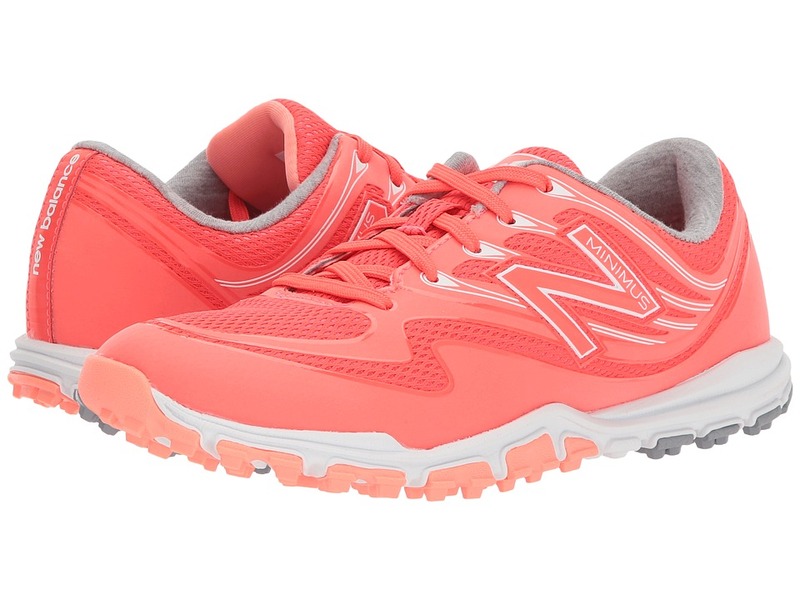 Signature New Balance logo at lateral side with Minimus callout. Imported. Measurements: Weight: 7 oz Product measurements were taken using size 7.5, width B - Medium. Please note that measurements may vary by size. Weight of footwear is based on a single item, not a pair. 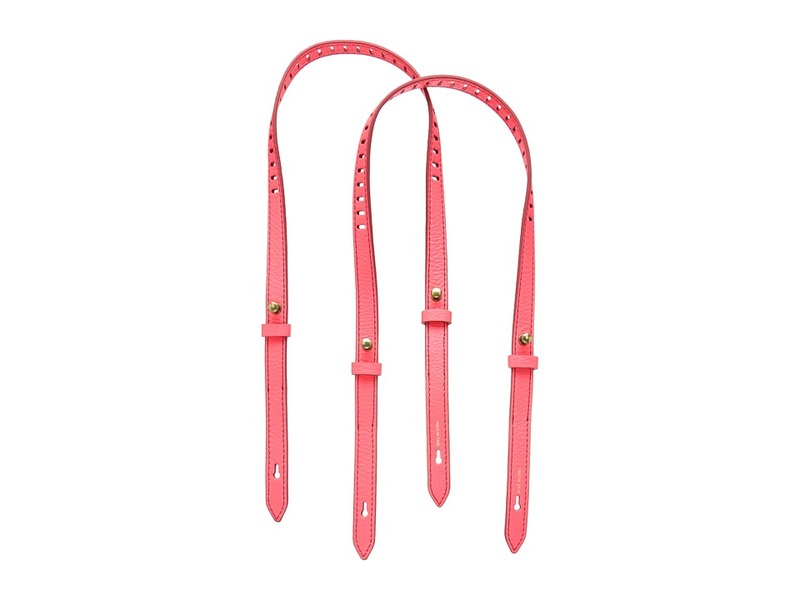 Add a unique flare to your look with the chic Fossil Rachel Interchangeable handbag straps. Made of man-made material. Added keeper. Imported. Measurements: Strap Length: 30 in Strap Drop: 14 in Weight: 1.4 oz Please note, the hardware color and interior lining may differ from the color shown in the photo. Transition easily from the studio to the streets in the Sportswear Gym Vintage Crew! Regular fit is eased, but not sloppy, and perfect for any activity. Allover heathered construction adds stylish flair. Crew neckline with stitched V-panel. Raglan sleeves allow arms full range of movement and eliminate shoulder seam chafing. Brand mark boldly screened at upper left chest. Rib knit cuffs and straight hem. 60 percent certified organically grown cotton, 40 percent recycled polyester. Rib: 60 percent cotton, 40 percent polyester. Machine wash, tumble dry. Imported. Measurements: Length: 26 in Product measurements were taken using size SM. Please note that measurements may vary by size. Part of the Bombshell series the Rip Curl Madi Long Sleeve Boyleg Spring Suit provides comfort and protection during those long surf sessions. E4 superstretch neoprene provides for the warm comfort and flexibility you need on the waves. Lightweight G-Bomb spring suit dries quickly to keep you feeling fantastic. 1mm thickness. Palm printed and color block panels. Crew neckline. Half-zip closure at back with extra-long zipper pull. 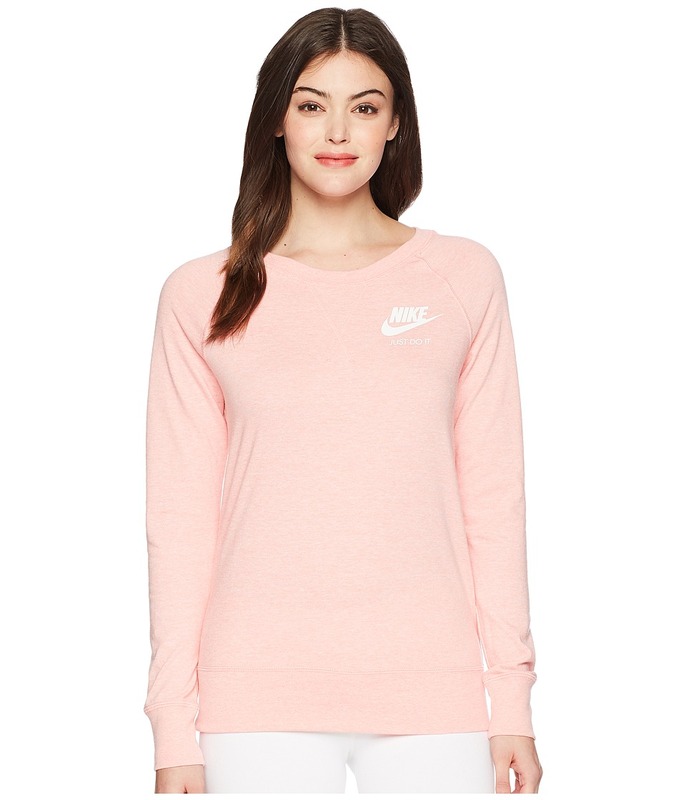 Long raglan sleeves allow for a wide range of motion. Rip Curl logo hits throughout. 80 percent neoprene, 20 percent polyamide. Hand wash cold, line dry. Imported. If you~re not fully satisfied with your purchase, you are welcome to return any unworn and unwashed items with tags intact and original packaging included. Make your way through the surf with the fresh Rip Curl Wetty Cap Sleeve rashguard. Performance fit allows for next-to-skin comfort. Quick-drying, stretch fabric blend provides for a superb wear. UPF 50+ fabrication protects your skin during outdoor activity by blocking harmful Ultraviolet A and Ultraviolet B rays (UVA and UVB). Flatlock seams minimize chafing and irritation. Crew neckline. Cap sleeves. Straight hemline. Brand markings throughout. 90 percent polyester, 10 percent spandex. Hand wash cold, line dry in the shade. Imported. Measurements: Length: 24 in Product measurements were taken using size SM. Please note that measurements may vary by size. If you~re not fully satisfied with your purchase, you are welcome to return any unworn and unwashed items with tags intact and original packaging included. Win with style and functionality in the Rip Curl G Bomb Long Sleeve Full Zip Jacket. Part of the Bombshell series. E4 superstretch neoprene provides for the warm comfort and flexibility you need on the waves. Lightweight material dries quickly to keep you feeling fantastic. Mock collar with half-zip placket at front. Long raglan sleeves offer an improved range of motion. Straight hemline. 80 percent neoprene, 20 percent polyamide. Hand wash cold, line dry. Imported. Measurements: Length: 23 in Product measurements were taken using size 6. Please note that measurements may vary by size. If you~re not fully satisfied with your purchase, you are welcome to return any unworn and unwashed items with tags intact and original packaging included. Dance the night away in this stunning Maggy London dress. Shift silhouette. Versatile solid print allover a crepe fabrication. Square neckline. Lattice trim at fixed shoulder straps. Fluttered sleeves with cold shoulders. Ruffled overlay at neck. Zipper closure at left side. Fully lined. Straight hemline. Shell: 95 percent polyester, 5 percent spandex Lining: 100 percent polyester. Dry clean only. Imported. Measurements: Length: 35 in Product measurements were taken using size 2. Please note that measurements may vary by size. 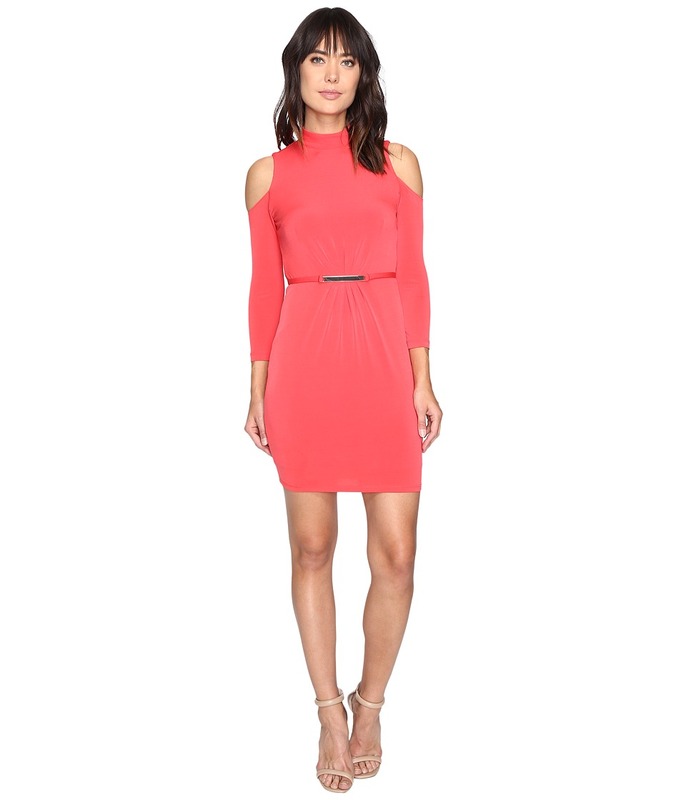 Take your style to the next level in this Jessica Simpson dress. Shift silhouette. Solid colorway on a stretch-poly fabrication. Mock neckline. Keyhole cutout and button-loop closure at nape. Cold shoulder detail at three-quarter sleeves. Attached belt with metal hardware at waist. Concealed zipper closure at back. Lined. Straight hemline. 95 percent polyester, 5 percent spandex Lining: 100 percent polyester. Hand wash cold, lay flat to dry. Imported. Measurements: Length: 34 1 2 in Product measurements were taken using size 2. Please note that measurements may vary by size. 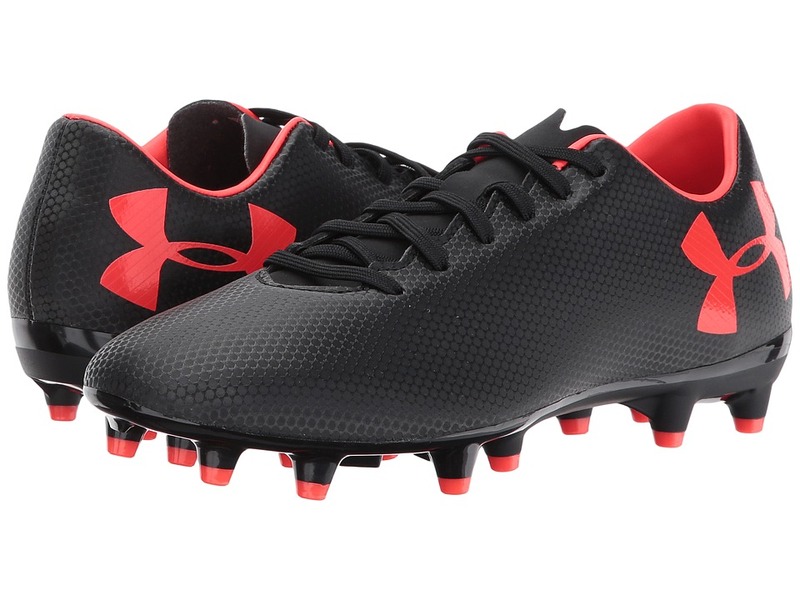 Conquer the opposition in the Under Armour UA Force 3.0 FG soccer cleat! Synthetic leather upper provides support, stability, and ball control. Lace-up closure. Thin tongue and contoured collar. Smooth synthetic lining offers a great in-shoe feel. Die-cut sockliner supplies underfoot cushioning, comfort, and lasting support. TPU outsole with conical studs delivers optimal traction in any direction. Firm-ground (FG) cleat is designed for play on short-grass, slightly wet pitches. Imported. Measurements: Weight: 7 oz Product measurements were taken using size 6.5, width D - Medium. Please note that measurements may vary by size. Weight of footwear is based on a single item, not a pair. 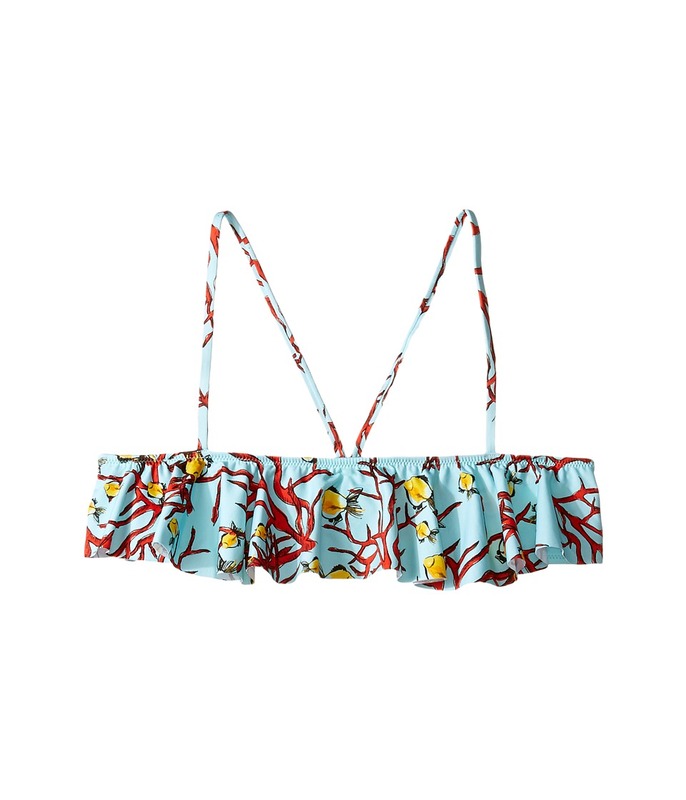 Make a splash with this adorable Vilebrequin Kids Coral Fishes Swimsuit Top. Bandeau swim top with bold coral and fish print throughout. Fun ruffle neckline. Piped shoulder straps. Slip on design. Shell: 80 percent polyamide, 20 percent elastanen. Lining: 86 percent polyamide, 14 percent elastane. Hand wash cold, hang dry. Imported. This item may ship with an attached security tag. Merchandise returned without the original security tag attached or a damaged tag may not qualify for a refund. Measurements: Length: 10 in Chest Measurement: 12 in Product measurements were taken using size 14 Years. Please note that measurements may vary by size. If you~re not fully satisfied with your purchase, you are welcome to return any unworn and unwashed items with tags intact and original packaging included. 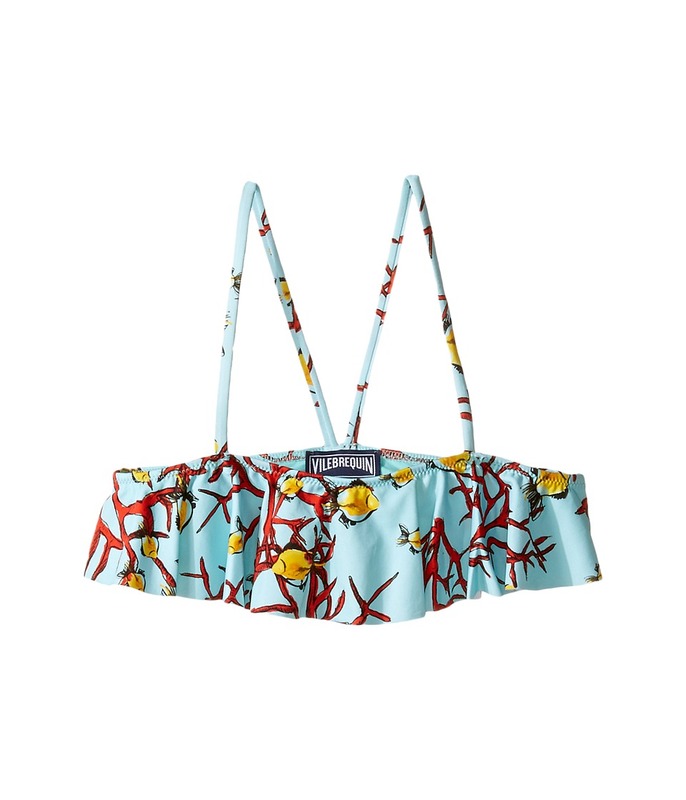 Make a splash with this adorable Vilebrequin Kids Coral Fishes Swimsuit Top. Bandeau swim top with bold coral and fish print throughout. 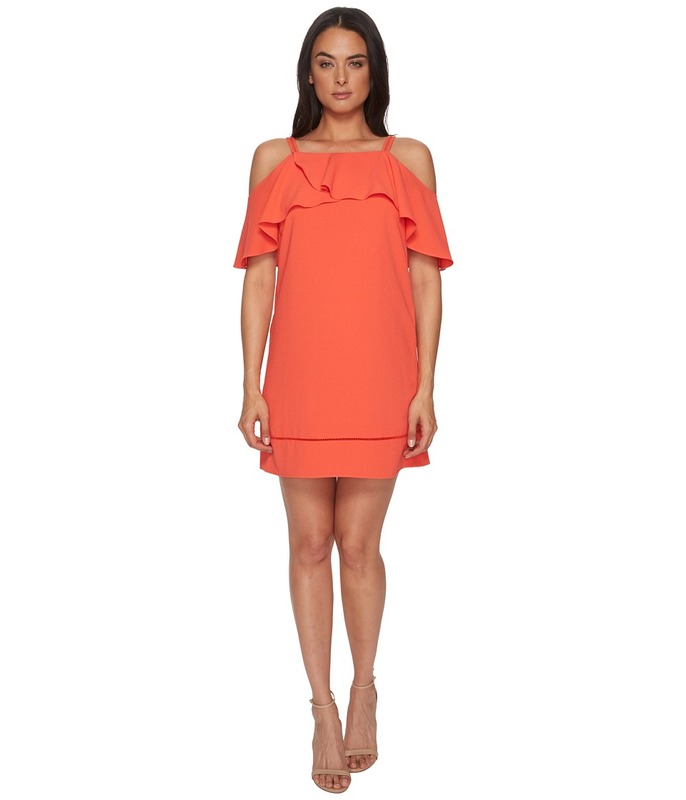 Fun ruffle neckline. Piped shoulder straps. Slip on design. Shell: 80 percent polyamide, 20 percent elastanen. Lining: 86 percent polyamide, 14 percent elastane. Hand wash cold, hang dry. Imported. This item may ship with an attached security tag. Merchandise returned without the original security tag attached or a damaged tag may not qualify for a refund. Measurements: Length: 5 1 2 in Chest Measurement: 9 in Product measurements were taken using size 8 Years. Please note that measurements may vary by size. If you~re not fully satisfied with your purchase, you are welcome to return any unworn and unwashed items with tags intact and original packaging included. 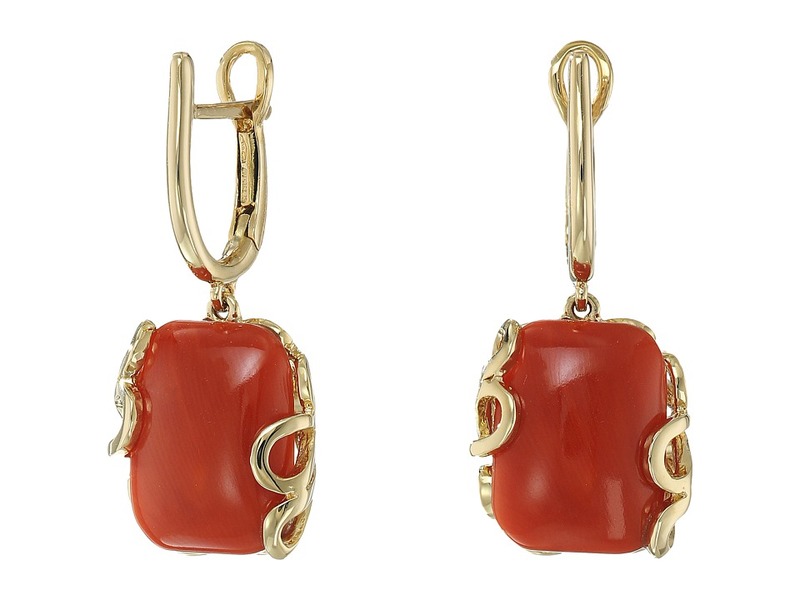 From the Foglia di Mare Collection. Highlight your passionate style with the breathtaking Miseno Sea Leaf Yellow Gold Cushion Cut Ring. 18k yellow gold. 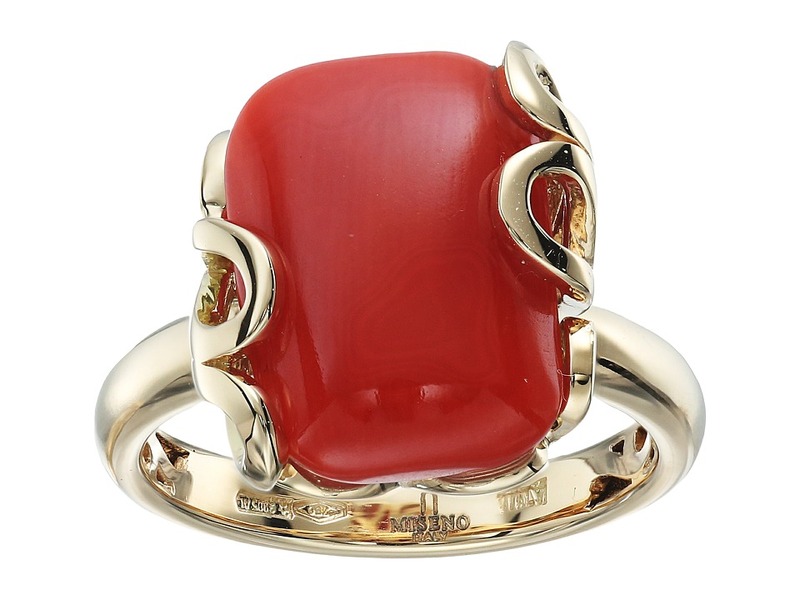 Cushion cut red coral in a gorgeous sea leaf setting. Sized ring. Made in Italy. This item may ship with an attached security tag. Merchandise returned without the original security tag attached or a damaged tag may not qualify for a refund. When the sun shines bright and ice cubes tinkle in refreshing beverages, it~s time to dust off a few favorite anecdotes and mingle. 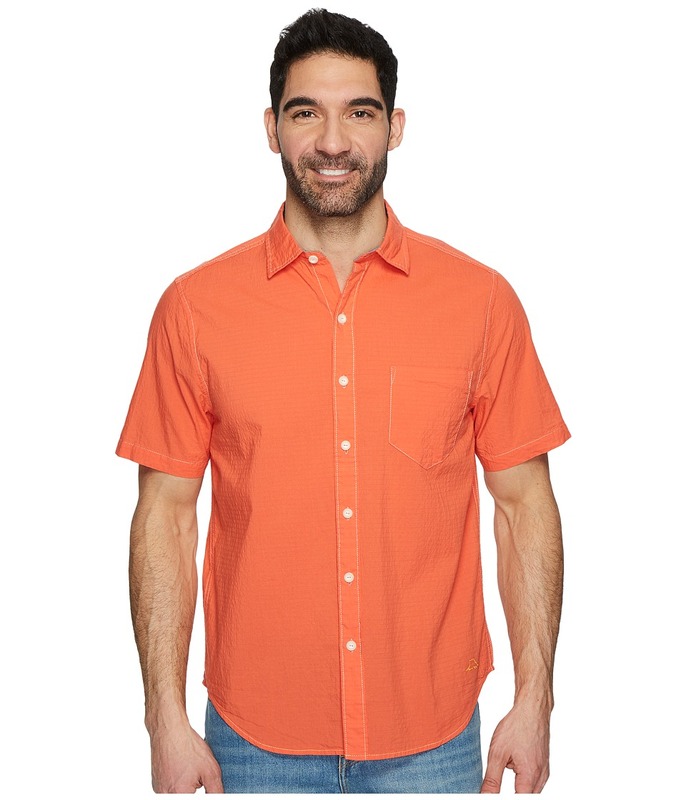 Draw the crowd in your direction with a handsome Tommy Bahama shirt. With style and comfort in mind, the standard fit sits just right at the shoulders, relaxes through the midsection, and slightly tapers at the waist. Comfy textured cotton blend camp shirt in a barely-there stripe design. Added stretch for easy, all-day wear. Spread collar design. Full button-front closure. Straight back yoke with side pleats. Hemmed short sleeves. Patch chest pocket. Shirttail hem with a sailfish embroidery. 99 percent cotton, 1 percent spandex. Machine wash, tumble dry. Imported. Measurements: Length: 30 in Chest Measurement: 40 in Product measurements were taken using size MD. Please note that measurements may vary by size. Give your look a bohemian flair with this Hat Attack cover-up poncho! Hook and eyelet front closure. V-neckline. Textured striping throughout. Draped sleeves. Asymmetrical hemline with tasseled detailing. 100 percent cotton. Hand wash cold, line dry. Imported. Measurements: Length: 30 in Product measurements were taken using size One Size (US 2-14). Please note that measurements may vary by size. 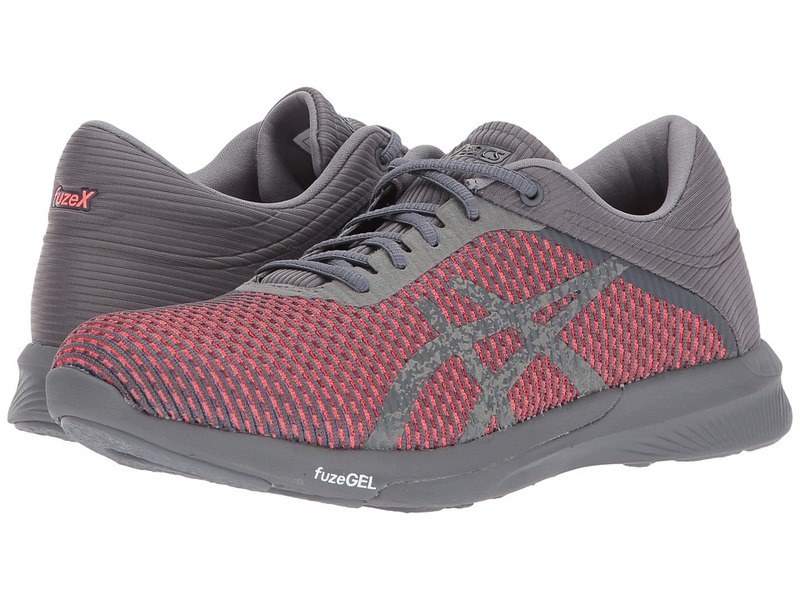 The ASICS FuzeX Rush CM running shoe adds variety to your training sessions with its versatile performance and durable construction keeping you going mile after mile. Predecessor: None. Support Type: Neutral. Cushioning: Lightweight, flexible response. Surface: Road. Differential: 8 mm. Breathable mesh and synthetic upper materials. Seamless upper design helps reduce the likelihood of irritation. Discrete eyelets disburse lace tension for optimal comfort. Lace-up closure. Padded tongue and collar. Comfortable fabric lining offers a great in-shoe feel. Removable Ortholite footbed with ComforDry technology that provides cushioning performance and excellent moisture wicking for a cooler, drier, and healthier foot environment. FuzeGEL midsole provides responsive cushioning and impact protection. Heel/Toe: 19 mm/11 mm. Durable AHAR rubber outsole delivers reliable grip and traction. Imported. Measurements: Weight: 11 oz Product measurements were taken using size 12, width D - Medium. Please note that measurements may vary by size. Weight of footwear is based on a single item, not a pair. 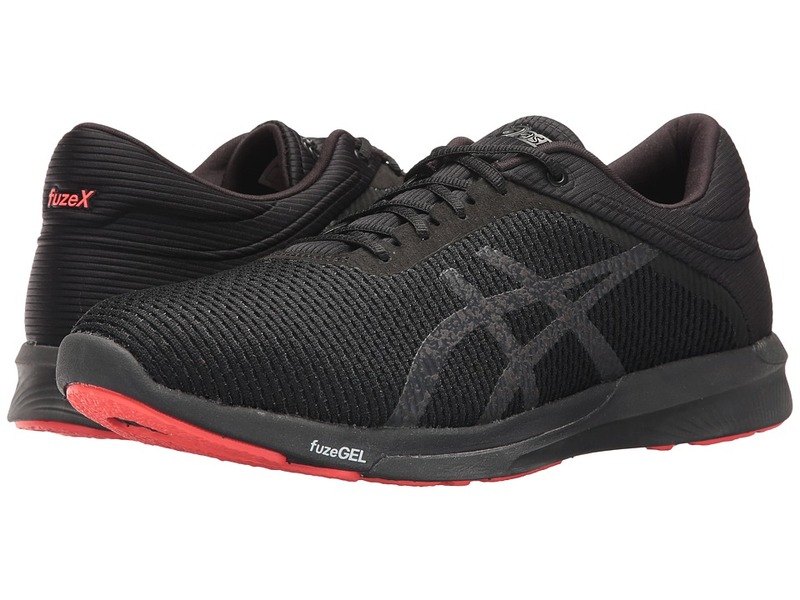 The ASICS FuzeX Rush CM running shoe adds variety to your training sessions with its versatile performance and durable construction keeping you going mile after mile. Predecessor: None. Support Type: Neutral. Cushioning: Lightweight, flexible response. Surface: Road. Differential: 8 mm. Breathable mesh and synthetic upper materials. Seamless upper design helps reduce the likelihood of irritation. Discrete eyelets disburse lace tension for optimal comfort. Lace-up closure. Padded tongue and collar. Comfortable fabric lining offers a great in-shoe feel. Removable Ortholite footbed with ComforDry technology that provides cushioning performance and excellent moisture wicking for a cooler, drier, and healthier foot environment. FuzeGEL midsole provides responsive cushioning and impact protection. Heel/Toe: 19 mm/11 mm. Durable AHAR rubber outsole delivers reliable grip and traction. Imported. Measurements: Weight: 9 oz Product measurements were taken using size 8, width B - Medium. Please note that measurements may vary by size. Weight of footwear is based on a single item, not a pair.